One way to see the sights of Menton is in a boat. 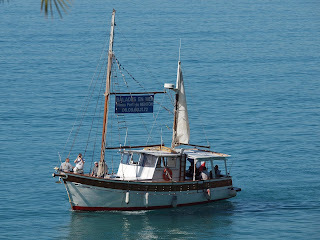 You can hire this one in the Old Port of Menton. 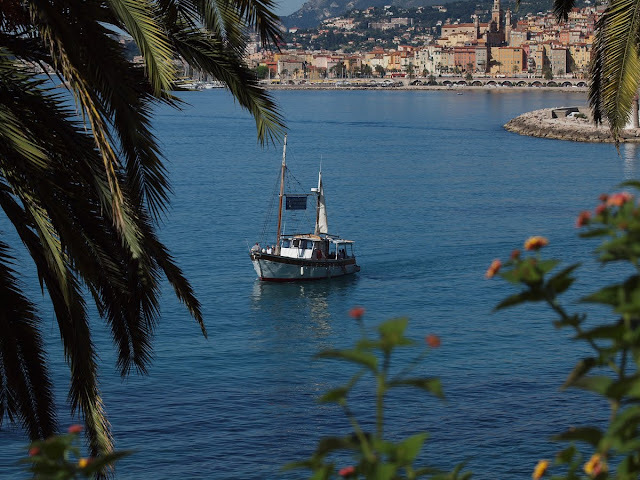 pouvez louer celui-ci dans le Vieux-Port de Menton. And a good way to cross the frontier.. I made that often with grand-dad. There were good places to fish around there in those times! I have just worked out why the world is round. And why the earth revolves around the sun. So that you lot can cheer us up when it is cold and blustery, And us lot you in six months. Lol Julie, and very true. This is the way I would like to see Menton. Not on a cruise ship, but a small boat. I love Julie's theory. I want to be on that boat right now. It is sooooooo hot here in Birmingham that we are suffering. What an enticing shot with your beautiful Menton in the background.